PSA Security Network has partnered with savings4members to help physical security integrators reduce costs and increase profitability on 20+ business service programs. PSA members have saved over $132,730 on products and services they use every day like payroll processing, office supplies, shipping fuel, credit card processing, checks, wireless services, and more. Check out the complete list of offerings from savings4members. If you are looking to stay in compliance, upgrade your current POS software or get a new point-of-sale terminal so you can accept EMV chip cards – CardConnect is the partner for you. CardConnect offers advanced payment solutions backed by patented, PCI validated point-to-point encryption (P2PE) and tokenization that transforms the way you process and manage transactions. Complete this online form to learn more and receive a no obligation cost savings analysis. Multiple branded cards available with a savings of at least 5 cents per gallon! You can now save at Exxon Mobil, Phillips66®, Conoco®, 76®, Sunoco, Stripes, and Circle K stations while tapping into the purchase controls, alerts, and other features from WEX to monitor your fuel spending. There are no setup or monthly card fees so it is 100% free to get setup, plus the fuel cards are accepted at 90% of stations nationwide. Complete this online form to view the current promotions and to learn more. It pays to switch to Sprint! Get the best price for Unlimited data, talk and text. Receive up to $650 to buy out your current contract and trade in your old device. Receive additional benefits like 19% discount of most rate plans, 25% off accessories, and additional solutions for your fleet and business. 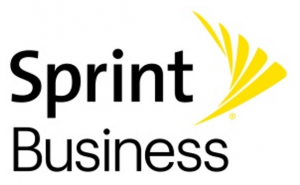 Complete this online form to determine the best time to switch to Sprint. Contact a Savings Consultant to learn more about savings4members at 844-346-3746 or info@savings4members.com.